Can anyone help me ID a blown diode? 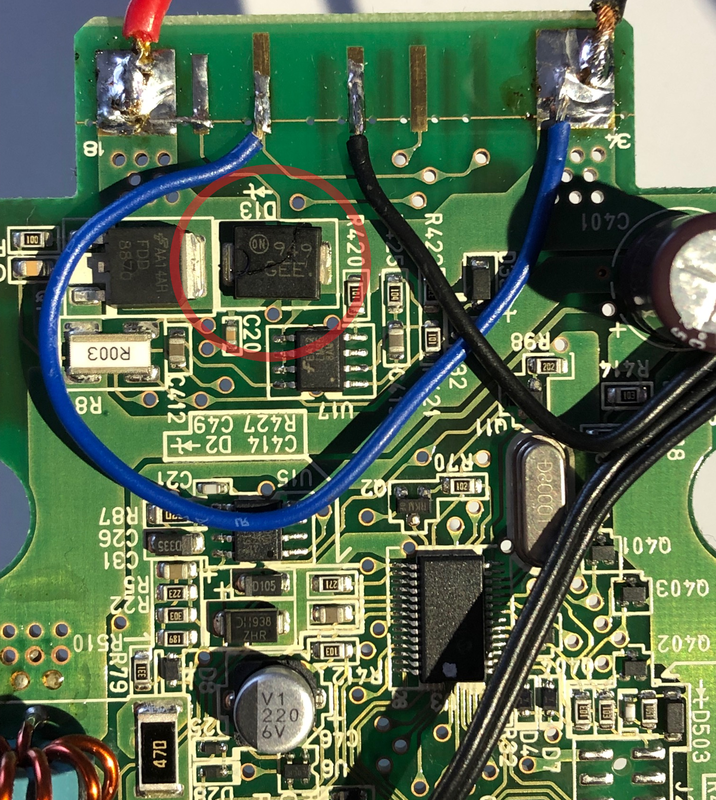 I connected a high power (16.5A@12V) blade server fan with wrong polarity to a power supply. The diode cracked. I searched with the keywords "ON Semi 949GEE" but I could not find any Information. Size is about: 8 x 6 x 2.4mm. Maybe someone can tell me a common diode as replacement. By marking on PCB it is Zener diode. I can't imagine that is a 100v Zener Diode. I have a second working PCB, is there a (non-destructive) way to measure the working Zener Diode? The 949 code is the date code (YWW) while the GEE is the actual component code.